Nicephorus II Phocas (born c. 912; 963 – 969AD) was a brilliant military strategist which contributed to the resurgence of the Byzantine Empire during the 10th century but lost Sicily to the Muslims and most of Italy following the incursions of Otto I. He did retake the island of Cyprus and moved to retake the Levant (Syria) and retook the ancient city of Antioch. In order to finance these wars, Nicephorus increased taxes both on the people and on the church. This naturally made him very unpopular and he created many powerful opponents. His taxation alienated even his former allies and one of them, his nephew John Tzimiskes, killed Nikephoros in his sleep and took the throne. 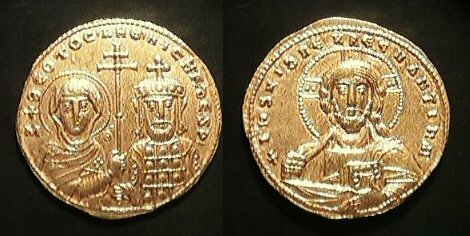 During the reign of Nicephorus II Phocas, he introduced a new light-weight gold coin reflecting the inflation and the high cost of his wars. This was known as the Tetarteron which was distinguishable only by its reduced weight. However, the metal content was also debased reducing it from 24k gold to just 22k.